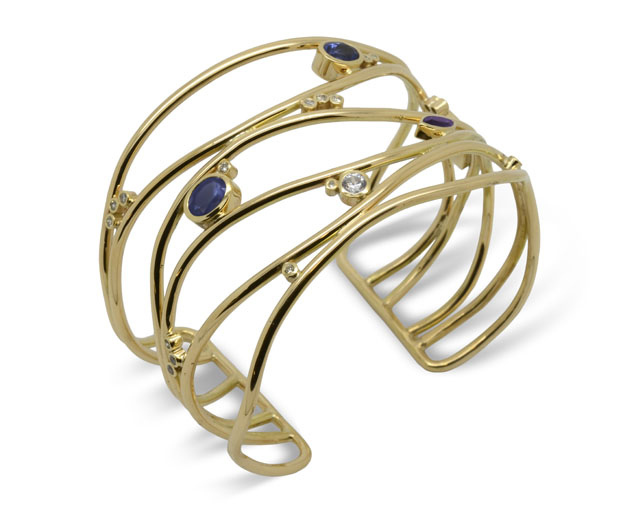 The plain 9ct gold six strand cuff costs £ 1800. Then you can add the stones you would like. I can either work to a budget or to specific stones you would like included.